Storytelling and music have come together for a magical new show aimed at little ones in Sutton Coldfield. FOLIO, a local charity which supports public libraries throughout the Royal town, has secured funding for a brand new commission entitled Alice and the Library Tree. Created by local children's opera company B'Opera, this new work will explore the wonder of libraries and how they inspire curiosity. On June 15 and July 20, public and school audiences will experience Sutton Coldfield Library as never before with free performances for four local schools as well as two public performances. In addition, an upscaled version of Alice and the Library Tree will be performed at Royal Sutton Coldfield Town Council's Concerts in the Park on June 30, bringing the library experience out into the beautiful setting of Sutton Park. Alice and the Library Tree is funded by Arts Council England with support from Royal Sutton Coldfield Town Council for the schools' performances. Zoe Toft, Chair of FOLIO Sutton Coldfield, said: "Libraries and music both have the power to be utterly transformative, enriching lives and so FOLIO Sutton Coldfield is extremely excited to announce our latest project, Alice and the Library Tree, a magical, musical experience about the power of libraries. We can't wait to bring schools and the local community into Sutton Coldfield library to experience something completely new and we're thrilled to be partnering with B'Opera, who make exquisite music for young ears and to be showcasing this celebration of libraries at Concerts in the Park." 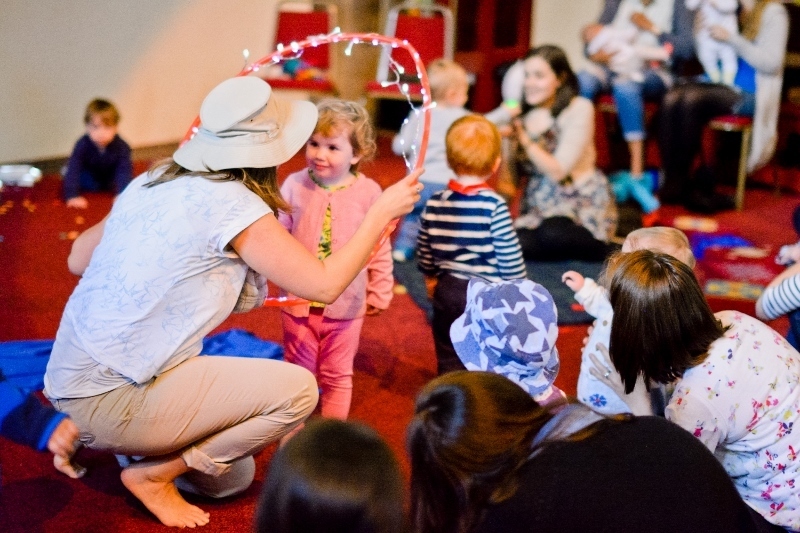 B'Opera create music for tiny ears through interactive performances for babies, toddlers and their grown-ups across Birmingham. Sutton Coldfield based B'Opera founder Zoe Challenor added: "As a local mum, I spend a lot of time taking my children to the library and Sutton Park. This is a wonderful opportunity to create a new work for the local community, and it will bring together some of the things we're most passionate about at B'Opera - high quality music for young children, and the magical possibilities of our libraries and parks." Free tickets for the public performances of Alice and the Library Tree in Sutton Coldfield Library will be available to book from May 15 viahttps://bookwhen.com/foliosuttoncoldfield. Tickets for the larger scale performance at Sutton Park on June 30 as part of Royal Sutton Coldfield Town Council's Concerts in the Park will be on sale to Sutton Coldfield residents from Monday 8 April and on general sale from Monday 29 April. Tickets will be £20 for a family ticket, £8 for adults, £4 for children and those on benefits. They are available online via www.suttoncoldfieldtowncouncil.gov.uk/concerts from May 15.